Here I will post pictures and eventually patterns to crafted, crocheted, knitted, sewn, and quilted items I have made. For the last few weeks I’ve been working on compiling a list of awards that are here on WordPress. Some of these awards many of us have received over and over, so I thought we needed some fresh ones to share. The first one is The Full of Heart Blogging Award. It is to be given to bloggers who write from their hearts, no matter what the emotion, but you must be able to feel their heart through their words. Share the people or things you love most in an anagram using the word HEART. E…Every single day that I am alive. 3. Nominate 7 other bloggers, and notify them of their nomination. Award #2 is The Super Sweet Blogging Award. This award goes to those bloggers who give the sweetest comments, or have the sweetest blog. Say something sweet about the blogger who nominated you, thank them and then link to their blog. Nominate a “Baker’s Dozen” (13) other bloggers for the award and notify them of their nomination. That’s my Baker’s Dozen, and they are really sweet people who deserve to be noticed. #3 of my awards is The Crafty Blogger Award, and is an award that I believe should go to those bloggers who are crafty and are always posting things they have made or want to make, or share craft ideas with their readers, or who share their creativeness through art or photography. 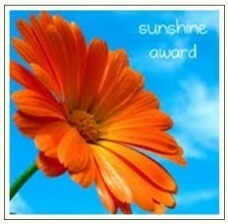 This award should be given to those who show crafty projects they have made on their blog. Thank the blogger who nominated you, and place a link to their blog in your post. Tell about the greatest home made gift you gave or received. Nominate 5 other bloggers for this award and notify them of their nomination. Since I designed this one I will thank all those craft bloggers who have inspired me throughout the years, and God who gave me the gift of being creative. I’ve had the joy of making special gifts for many others and for being given great homemade gifts, so I will mention one I was given, in fact I’m given every year. My sister-in-law started a tradition a few years ago of making clear glass ornaments with special things in them and a slip of paper attached with an encouraging thought. She has encouraged us to have faith, to dream, to love, and more through these ornaments, and it is one of my favorite Christmas gifts each year. I can’t wait to see what she has come up with each year for us to add to our Christmas tree. #4 of the awards I designed is The Creative Writer Blog Award, and is meant to be given to those who share their creativity through writing stories, poems, and themselves through their writing. This award should be given to those who have written a poem, a story, scripts, or some other creative form of writing for their blog. Thank the blogger who nominated you for the award, and link to their blog. Write a 8 line poem about yourself. Nominate 4 other bloggers for the award and notify them of their nomination. Since I designed this one I will again thank God for the creativity and inspiration he gives me to share this gift of writing. I wipe the sleep from my eyes. And if my daughter will do what she’s told. And ask for help when I pray. As the Lord helps me with all I do. #5 of the awards I designed is The Dining Blogger Award. This award goes to bloggers who share recipes, cooking stories, or cooking tips, canning tips, or food gardening tips on their blog. Thank the blogger who nominated and put a link to their blog in your post. 3. Nominate 6 others bloggers for this award, and notify them of their nomination. Two more awards to go!!!!!! #6 of the awards I designed is The Imaginative Youth Blogging Award. This award was designed because of all the homeschooling parents out there sharing ideas for our children. So it is meant for those who share things for our youth, whether lessons, crafts, words of wisdom, or such. But it must be things that help young people, not hurt them. 2. Share a story from your youth, or if you are still young (20 or younger) share a hope and dream you have for your future. 3. Nominate 5 other bloggers and notify them of their nomination. Here is a story from my youth…wow, I just went blank…lol. Hmmm.. .okay here is one I haven’t written about. When I was 7 and 8 years old we lived in Biloxi, Mississippi, because my dad was stationed there. We lived in base housing that was surrounded by a swamp filled with snakes, including water moccassins. Across the swamp from where we lived was the V.A. Hospital, where there was lots of land surrounding it, big enough for a few sports fields. My brothers and I, along with a few other G.I. brats use to climb a large tree that had a branch that crossed over the swamp, and we would drop into the Hospital lawn. We would play ball and other games until we got caught. One day the military police were waiting for us as we started dropping out of the tree. After taking us all home, they chopped down our favorite branch so we couldn’t do it again. I won’t tell you what we started doing to get back at them, but let’s just say it involved other trees, netting and snakes as surprises as they patrolled the sides of the swamp. I love sharing things from these blogs with my daughter, Jk, and so they are well deserving of this award. Finally, here is the last award I designed. It is The Family of Bloggers Award, and was designed with the thought that there are many guys who also blog that might not want the Sisterhood of Bloggers award…lol. Really, I’ve come to think of many bloggers as a part of my family and so this award was designed with them in mind. Thank the person who nominated you and tell them what family member they would be if they were really related to you. Place a link to the blog of the person who nominated you in your post. Tell what attributes you bring to the family, using an anagram of the word FAMILY. 4. Nominate at least 4 other people to be in your family of bloggers, and for this award, and notify them of their nomination. Well, that’s it folks! I’m finally through blogging awards. All that is left to do is add pics to this posts in editing, and notifying all the nominees for all the awards I blogged today! I was nominated for this award twice in the same day, and within moments of each other. Thank you to Diane at… http://hometogo232.wordpress.com/ and Terry from… http://terry1954.wordpress.com/ ! What is funny is that both of these wonderful women said the same thing to me when they nominated me for it…that I would love the name for the award, and that it was perfect for me…lol. I wasn’t sure whether they meant the Mrs. Sparkly part or the Ten Commandment part…lol. I remember saying the same thing to both, that I found the name funny because it was the first time I had heard the word Sparkly used in the same sentence as the words Ten Commandment! I took it upon myself to add the title of this award, “Mrs. Sparkly’s Ten Commandments Award” to the picture that was posted for the award. So that those receiving it will always get a smile when they see the name. 2. What keeps you up at night? Insomnia from Fibromyalgia…well it did until a friend suggested Melatonin to me because it helped her sleep through the symptoms of insomnia that accompanies fibromyalgia. It Works…Praise God! 3. Whom would you like to be? Well, the Bible says that God made me quite unique (I’m fearfully and wonderfully made by him.) So I wouldn’t want to be anyone but who God made me to be…however I would like to be more like Jesus. 4. What are you wearing now? My favorite pajamas…the comfortable red ones! 5. What scares you? Now this is funny, because everything I’ve ever had a fear of I’ve had to face and get over. For example…I have never been afraid of dieing because I know where my eternity will be, but I always feared living with pain. Now with Fibromyalgia I don’t fear it anymore because I live with pain daily. I was afraid of heights and tight places, and working in theater I had to deal with both. God has a way of teaching me that the only fear I need to have in my life is the fear of God. 6. What are the best and worst things about blogging? Best is writing and sharing with other bloggers, the worse thing is there is never enough time in a day to do all the blogging and reading of other blogs that I would love to do. 7. What was the last website you looked at? Does this mean blogsite or website? I would have to say my blogsite since that is what I’m writing on right now. But I would have to say not counting blog sites, and other than WordPress it would be MSNBC homepage for about 10 seconds until I started blogging on here…lol. 8. If you could change one thing about yourself what would it be? No more pain, so I could do all the things with my youngest daughter that I was able to do with my oldest daughters. 9. Slankets, yes or no? Slankets? Are we talking Snuggies, because I have a bright red one and it is the most comfortable thing on my bed, which I use every single day, and my daughter, Jk, keeps trying to take from me…lol. 10. Tell us something about the person who nominated you. Well, I was nominated by two very unique, loving, caring, and compassionate women that I’m proud to call friends and sisters-in-Christ. 1. http://e1aine.wordpress.com/ …This blogger is definately one of the Mrs. Sparkly bloggers, and a wonderful crafter to prove it. I love her posts on the jewelry she creates. 2. http://creationscience4kids.com/ …If dinosaurs and science could be considered sparkly this blogger could prove it. Also grounded in their Christian faith, I find this blogger a great candidate for both parts of the awards name. 3. http://allinthelifeofjk.wordpress.com/ …I don’t know anyone as sparkly as this blogger, and I know she has been grounded in her faith in Jesus Christ, because she is my youngest daughter and I live with her and her sparkliness ever day! 4. http://futureflyingsaucers.wordpress.com/ …This blogger would get the award for being the sparkliest homeschool site… that is if there was an award for that. Since there isn’t I’m giving her this award! 5.http://originalapplejunkie.wordpress.com/ …Now this award is perfectly named for this blogger! She is spunky, sparkly, and grounded in her Christian faith. Hmm…no wonder I keep thinking she reminds me of one of my daughters! 6. http://katescreativespace.com/ …This is definately a creative sparkly site. Usually when I check it out I’m either thing…Yum or That is so cool! 7. http://jelillie.wordpress.com/ …This is a site that shares their heart for God and is creative both! You can look at a blog post of a craft or such and before you know it this blogger has related it to something from God’s Word, or a thought about the Lord. Alright! Two more award posts finished! Congratulations to all those I have nominated, and thank you to Terry and Diane for giving me this award! Lately there has been a lot of to-do over an attack on women here in the United States…mostly aimed at Stay-at-Home Moms like me. The “liberated” women feel we don’t really do anything, and don’t consider what we do as “work”. In the same way many Stay-at-home moms feel that these liberated moms need to spend more time being a mom and wife at home. In the middle are those moms who do both, or have done both…this is where I have fallen in the past. Truth be told, I’ve been in all 3 areas now. I’ve been that stay-at-home mom, the mom who stayed home that worked part time or worked full time from home, and I’ve been that mom who works full time outside the home. Of the 3 the two that are the hardest to do are to be a full-time stay-at-home mom, or a stay-at-home mom who has to work part time or work from home at the same time. When I only worked outside the home and didn’t have to do all the housework, deal with children’s needs all day because they were in school while I worked, or do all the cooking, I had only a third of the responsibility that I have now. I was able to come home and cook every 3rd night since my husband and 2nd oldest daughter took turns cooking the other 2 nights, or because there was more money in the budget we could eat out more often. We cleaned house on Saturdays as a family, each carrying an equal share. With my youngest in preschool while I worked I didn’t have to deal with half the day of her needs, and when we were all home, my husband, older daughter, and I were able to split the time she needed in the evening and on weekends. Things were a lot easier, and that made working easier. The downside was I missed many of my youngest daughter’s milestones. Before this time I had been a single mom, who worked sometimes 3 jobs to support my daughters, and that was hard because I had to do all the cleaning, cooking, and still work while my daughters were either in school or at a babysitter. I missed even more than. As a stay-at-home mom, working part-time or full-time work-at-home jobs I carried both my work load and all the normal mom and wife responsibilities. I worked either in theater and had to take my daughters with me so I could keep an eye on them, or for a while I worked as a home reader for Focus on the Family, which meant getting my daughter off to school, walking to the office, picking up mail, then walking to the office and dropping it off when I was done coding it to go to the proper office, walk home and pick up my daughter at the bus stop, then spend the rest of the day, cooking and cleaning, doing homework with my daughter, sewing, and whatever else was necessary for each day. I didn’t have a dryer, so I often had to sneak in a load or two of laundry, and hang them on the clothesline to dry. I often ate no breakfast and snuck in a light lunch of fruit and a salad just to get through the day. My ex husband didn’t think what I did counted as work, so when he came home he expected me to carry all the house chores including mowing, weeding, caring for the garden, and dealing with my oldest daughter’s need. He would just come home and sleep or watch sports on television. I often went to bed at 2 or 3 in the morning when my house work was done, and rose at 6 to get breakfast for the two of them and prepare my daughter for school. I really never had time to read a book, relax, and I can’t even tell you of one television show or movie that I watched back then. 1. Do laundry…this is a daily thing with my daughter and husband, even more when my granddaughter is here. 2. Clean the top floor of the house which includes the home office that I don’t use, 2 bathrooms, 2 bedrooms, the hallway and staircase, and my sewing room. This means dusting, wiping down glass, picking up toys, clothes, school things, trash that doesn’t seem to make it to the trash cans, cleaning the toilets, showers, tubs, mirrors windows, sweeping and mopping. 3. Clean the main floor, which includes the kitchen, livingroom, a bathroom, and formal diningroom. With this there is sweeping, mopping, cleaning the fans and lights, vacumning both the floor and furniture, carpet cleaning, dusting, window cleaning, glass cleaning, counter cleaning, appliance cleaning, cleaning the refrigerator, cleaning out cupboards and the pantry, besides the normal routine of doing dishes, and clearing counters and tables off. 4.Clean the basement, the staircase down to it, and organize the basement closet. This entails me to do more sweeping, mopping, clearing out things, dusting, cleaning windows, and straightening up all the things that Jk and my granddaughter have played with. The storage closet has to be organized to make room for emergency supplies, and I have shelves to fix in there that the kids have broken. 5. Clean the front porch, which entails me to sweep it, wash it down, water the herb garden and cut some of these herbs to dry for use. No one likes to do this job because of the bugs and spiders that collect on it. Since I’m not afraid of spiders this has fallen on me. 6. Sew culottes and shirts for my daughter to wear to camp next week. I have 6 outfits and a one piece bathing suit to make. 7. Sew summer clothes for my granddaughter. Her mom is a single mom, who doesn’t sew, and can’t afford to replenish her clothes for summer and for school next year. So grandma said I’ll do the summer clothes so that my daughter could concentrate on getting her school clothes. This is what happens when a father isn’t involved in helping with his child, physically, emotionally, or financially. 8. I have a stack of books to read and review for 3 different sites, and they need to be done this month. I’m talking like 20 books. 10. Work on crocheted and sewn Christmas gifts for family this year. This includes about 8 prayer shawls, a couple of ponchos, a couple afghans, 2 quilts, and some fabric books and crayon holders. 11. Make a couple of dresses for a friend’s granddaughter. 12. Sew 2 new shirts for my husband. 13. Homeschool Jk through the summer for things she has struggled with this year. 14. Shop for groceries, and put them away. 16. Do all the mending for the family, tears, buttons, and hemming. 17. Clean and organize closets. 18. Write reviews for two books I’ve finished reading, and submit to 3 sites to publish online. 19. Watch my granddaughter, entertain her while Jk is at camp. 20. Get Jk ready to go to church camp next week. Clean her clothes, sew her clothes, and pack her clothes. I could go on and on. This list doesn’t include my blogging, writing poetry, practicing my guitar and singing, tring to get a prayer shawl ministry at the church, or doctor’s appointments for the family including my own for my health issues. There is so much to do and so little time to do it in. In the past I would have conquered this list in no time flat. I had health, energy, and youth on my side. But now it is impossible and I have to decide what to put aside. The house cleaning seems to take the most loss. My health issues make it difficult for me to do certain things like wiping the floor boards, bending down to clean lower cabinets, and anything else that means bending near the floor or sitting on the floor to do. No one likes to clean toilets so I have to do that. I have to keep the fans clean because of my allergies, so that has to be done. Tubs and shower cleaning are split between Jk and I. She does her bathroom and I do the other 2 in the house. Jk tries to help, but she is more apt to make messes, than to clean them up. She likes to do it quick, but not right, which means I have to go back over what she has done. I find this easier than getting upset with her all the time. She has really become better at it. She likes to cook, and so does breakfast, lunch, and sometimes dinner for us, but she is still learning to cook so I often have to help and guide her through dinner. She has taken over the dishes for me, so that helps. She does help with the laundry, often changing them over because it hurts my back to bend over to do it. I fold the clothes, and everyone is responsible for putting their own up. My husband will help with dinner sometimes and usually makes sure Jk does her chores right. If I ask he will do some of the cleaning, but usually just gets in my way because he wants to do the things I can do. But I appreciate his wanting to be helpful, just as I appreciate Jk’s help. Everyone wants a perfect home, and thinks you should be able to keep it perfectly clean, and that is the way I used to be. I was almost obsessive compulsive about it. But with Fibromyalgia and Arthritis I have had to change the way I think about cleaning. I’ve had to accept that I can’t do all the things I use to. I’ve had to decide to be happy with a lived in house that is free of germs. If a magazine or book is left somewhere, I have to be happy with that as long as the table below it is dusted. If the dog is laying on the carpet, I have to not be annoyed by the thought of it shedding and be happy that I have a new vacumn cleaner made to deal with dog hair, and that Lady is a good family dog who seems to sense when any of us are sick, and who loves to just be loved by the family. You see I’ve had to learn to give and take, to compromise in my feelings on what is done and how it is done. I have to take one day at a time, and do what I can in it. I have had to learn to work on something until my back hurts unbearably, then sit with my feet up and a heating pad on my back until I can get up and work again. There are a lot of things I need to get done, and very little time to do them in, but I will do what health and time allow me to do. Being a stay-at-home mom is far harder than any of the others. I didn’t even include all the things that most stay-at-home moms have to do that I no longer do. They are taxi drivers for their kids…We have only 1 car so that has been crossed off my list for now. They are usually changing diapers, caring for babies, toddlers and school age kids at the same time. They are pulled in a myriad of directions, as they deal with homework for different aged children, cook dinner, deal with sibling rivalry, getting kids to do chores, disciplining, consoling, and loving their children, while dealing with a mental list of things to do to prepare for their husband coming home. A lot is said about them sitting home eating Bon-Bons and watching soap operas. I can tell you from experience that this isn’t so. Most women turn the television on to hear adult voices to keep them sane, since most of the time they are communicating with children and teens who have their own forms of language. They may eat Bon-bons or other candy, but it isn’t constant, but for that sugar rush that will help them get things done, or because they have no time to stop for lunch or breakfast. Moms of toddlers are often stopping to be the playmate for their child, to remind those little ones of safety issues with a “don’t do that”, and dealing with naptimes for these little energetic children. They are rocking babies to sleep, feeding them, and it never stops. One thing that it is hard to make people understand. When you work outside the home, you are working 9 to 5, then going home. Your “work” is done for the day, and you don’t have to deal with it until the next day, and you get paid for it. Stay-at-home moms don’t get paid a cent for what they do. Their job never ends even after their kids grow up and leave the house. A stay-at-home mom doesn’t win rewards, bonuses, or promotions for what she does, and rarely even gets a thank you or any form of gratitude for what they do…SACRIFICIALLY, every day. They don’t get me time, not even when they are in the bathtub. I can tell you, children do not care when a mom is in the bathroom for any purpose. They will not walk in on dad, but don’t think twice about walking in on mom. I know, because in my house my daughters think that when I’m in the bathroom for any reason, they believe this is the time to talk about their wants, needs, problems, and so much more. I often say to them…”Does this look like a conference room?” It’s like they have you cornered at that moment, and they know it is the best time to ask for anything, because all you are thinking about is being alone. If you add to all this the nursing and doctoring moms have to do, and being the family receptionist, scheduler, and therapist, a stay-at-home mom’s life is pretty full to the point of overflowing. She is an amazing woman who can change a diaper, repair simple plumbing problems, build shelving, do room design and fashion design, along with a myriad of other jobs at the same time. She is a chef, an entertainer, a multi-tasker, a personal assistant, and Wonder Woman, all wrapped up in one. When she goes out in the Job World, most employers don’t even consider what the Stay-At-Home mom has been capable of doing. They just consider her to be the stereo type of a housewife. and never consider the talent it took to do all she does daily. The thing is she will be all these things the rest of her life, without notice, without pay, and without thanks. So the next time you ask your mother or your wife, to do something…think about all the things she is already doing for you, and show her some appreciation for it daily. The best way to show you appreciate her…HELP! Do some of the things on her list and do them right without being asked. Make a mom night, where she can sit and watch television, while other members of the family cook and clean without her help. Send her out for a spa day once in a while. Husbands, take on the kids when you get home, whether outside to play, or inside playing a game, just give mom a break from them. Also husbands, realize that when you get home and your wife wants to vent, it is because she needs to hear an adult voice, or needs to feel adult love and compassion from you. She needs to feel that she is loved and appreciated. If you are a stay-at-home mom, realize your potential, your gifts and talents, and realize what a special woman you are. The world could not turn without you there in it! Wow! I’m so honored! I finally got an internet connection this morning and was blessed to find that I had been nominated for The Versatile Blogger Award! Thank you http://futureflyingsaucers.wordpress.com/ for the nomination! As a homeschooling parent it is a wonderful thing when we can make a connection with other homeschooling parents and share activities, learning and craft ideas and experiences. Future.Flying.Saucers is a blog full of wonderful posts on homeschooling, but it is more because it is also filled with a lot of love and joy. I love the way this mom shares her love for her children, for the homeschooling experience, and just her love for being a mom. Everytime I click on her site I get the excitement of opening a present at Christmas, the anticipation of what might be inside today, and I can see why her children are excited about homeschooling, and about their mother! Thank you again, for sharing your blog with us, and for the nomination, http://futureflyingsaucers.wordpress.com/ ! Also thank you to http://scottsholar.com/ for the second nomination! From current news events to thoughts on the teaching from the Bible, Scott always shares his Christian perspective and his love for Christ. Although his site is new to me, I’ve loving it, because he is dedicated to standing up for his Christian faith, and isn’t being swayed by the lies the world is using to sway believers from God. I also like that Scott is an encourager to fellow Christian bloggers, and that he is a good source for information about what is going on in our country that pertains to Christians. Thank you Scott, for the nomination and for sharing your faith in Christ Jesus as well! Now for 7 random things about me. I think I’ve shared so many things this week through the other awards, that I’m not sure what is left, but here goes! 1. My sister, Nelda, dyed my hair the summer between my 8th and 9th grade years of school. It was suppose to be blond, but turned out orange. Because she didn’t know how to fix it, I went to school that year and garnered the nickname “Rusty” from my friends at school. 2. That same 9th grade year of school, my mom decided to buy me a purple shirt for school pictures and get me a perm. Well, the perm turned out to be really tight and frizzy, and with my orange hair and purple shirt, I looked like a clown…lol. Talk about the worse school picture. 3. I started working at the age of 12, cleaning houses for various people at our church, usually those who were ill and couldn’t do it themselves, and others who worked or were elderly. I continued to work many jobs from that time on, until I started homeschooling my youngest daughter a few years ago. 4. I have held as many as 3 jobs as a single mom, to make sure my family was taken care of. 5. I actually graduated from Cosmetology School when I was 21, and started regular college that same year. 6. I have a thing about Queen Anne’s Chocolate Covered Cherries, but I only want them at Christmas time and only 1 box. It’s because of my mom, who worked at the Queen Anne’s factory in Indiana when she was 16. She passed that love she had for them on to me. No other brand will ever do, once you’ve had Queen Anne’s. 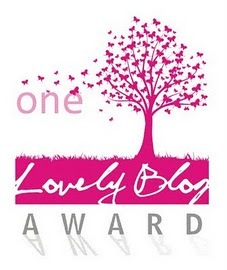 Okay, 7 things about me done, and now on to nominating 15 fellow bloggers for this award! I have nominated so many for awards this past week that some of these may be among those already nominated for other awards. I think The Versatile Blogger Award should probably go to bloggers who fill their blogs with a variety of posts, but while showing the various sides of them, still show their heart through each post. So those will be the type of blogs I will nominate. 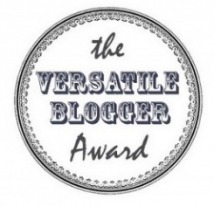 The following blogs are the ones I have chosen to nominate for The Versatile Blogger Award. 1. http://momentumofjoy.com/ I love her thoughts on Christ, but I also love the laughter she brings through some of her posts. I find this site to give me great moments of introspection and joy! 2. http://birdmartin.wordpress.com/ Whether speaking of her love for Christ, about her love for family, or just a funny story about her life and her family, Bird always shows her heart and her personality in every single post. 3. http://canadianmommytime.wordpress.com/ You want a taste of Real Housewives, then quit watching television and visit this Canadian Mommy’s blog. This is a real mom, real housewife, and real woman’s life, not that glitz and glitter of shallow, spoiled women you see on television. Canadian Mommy shares her love of her family, and of her life in every post. 4. http://e1aine.wordpress.com/ I love this young lady’s blog, whether she is showing her beautiful jewelry creations, talking about fashion, or giving a good grammar lesson. She writes with the heart and humor of youth, and the wisdom of maturity all at the same time. 5. http://homeschoolyear.wordpress.com/ I know this is a Homeschool blog, but the variety of posts feature not only the written word, but photos, craft ideas for families, and even book reviews. This blogger truly approaches homeschooling and blogging from a variety of angles. 6. http://barbarabazzocchi.wordpress.com/ This blog is filled with a love for crafting, crocheting, gardening, travel and family! Every time I click on Barbara’s blog I feel like I’m about to set off on a new journey filled with adventure! 7. http://5gsandacupofjoe.net/ I can’t tell you how much I love this blog, but I can tell you why. Visiting this blog is like sitting down with an old friend and talking about anything and everything in life, from Christ, to prepping, world news, to family. This regular Joe makes you feel right at home when you visit his blog. 8. http://sharinhislove.wordpress.com/ This blog does just what it says. It shares the love of Jesus Christ in a variety of ways. If I need a word of encouragement, or need a new way of looking at things that are going on, or just want to feel the joy and love of Christ in my life, this is one blog that gives me those immediately. 9. http://hometogo232.wordpress.com/ What to feel love in a variety of ways, this is the blog for you. You’ll either feel like you are at Grandma’s home, Mom’s home, or a dear friend’s home when you visit this blog, depending on your age. It is evident, no matter what Diane is blogging about, you will feel welcome into her life, and her heart, but most of all you will feel her love for Jesus. 10. http://thehomesteadatspringcreek.wordpress.com/ Have you ever wondered what it would feel like to homestead, to live off the grid, or what it must have been like for early settlers? Then this is the blog for you. Each post is an adventure in the making, whether family life, gardening, information about different plants, recipes, or a new look at things in nature. 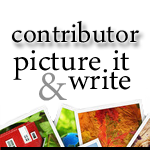 11. http://pulchradoctrina.wordpress.com/ Another homeschool blog filled with ideas, photos, family, and personality. 12. http://lynnecobb.com/ I love that this blogger writes about a variety of things from a variety of emotions. One moment you will feel empathy with her, the next you will be laughing at her adventures and her look at life. 13. http://originalapplejunkie.wordpress.com/ Can’t forget my Apple Junkie Sister-in-Christ! Her blog is filled with her adventure of living in Portugal, yet filled with a variety of things from cooking, family, and personal thoughts from the heart. You can’t help but feel the heart of home in her writing while enjoying her adventure in another country at the same time. 14. http://naturallyfundays.wordpress.com/ Another homeschooling blog with a variety of adventures, ideas, and lots of family love. 15. http://childdrivenlearning.wordpress.com/ Nothing I like more than traveling…taking a journey to some place new. This blog takes the reader on a trip with them through their homeschooling adventures. 16. http://lbtk.wordpress.com/ I’m adding an extra one because I feel this one is so deserving of this award. The variety of posts which all share this bloggers love for life, for teaching, and for the Lord Jesus, always leaves me with a warm feeling of standing at the foot of the throne of Jesus, yet feeling his warm hugs and love for me, that I’m drawn back to see how that love is expressed with each post. Again I would like to thank http://futureflyingsaucers.wordpress.com/ for the nomination, and to all these other bloggers as well for filling my blogging adventure with variety, warmth, and fun! On nice weather days, when I’m having a good day as far as pain goes, my youngest daughter, Jk, and I often try to get out for a walk. I’ve been trying to teach her a little about photography. After a few of what we call our “photography walks” she has now amassed a number of photos that she has taken herself. I decided to take this one step further to the computer to show her how to make the most of her photos, so that she could share a message with her photos that would say something about what they said to her, or what God is saying to us through his creation. So I found a photo program that would allow her to add text, pictures, frames, and clipart to her photos, or that would allow her to mix photos together. So this is just a taste of what she has been working on, with the hopes that she will be blogging some of them on her own blog. Enjoy!